International Cat Day, also known as World Cat Day, is a holiday which was created in 2002 and is used to not only celebrate the friendship that humans and cats share but also to promote the safety and well-being of cats. This holiday is celebrated annually on August 8th. 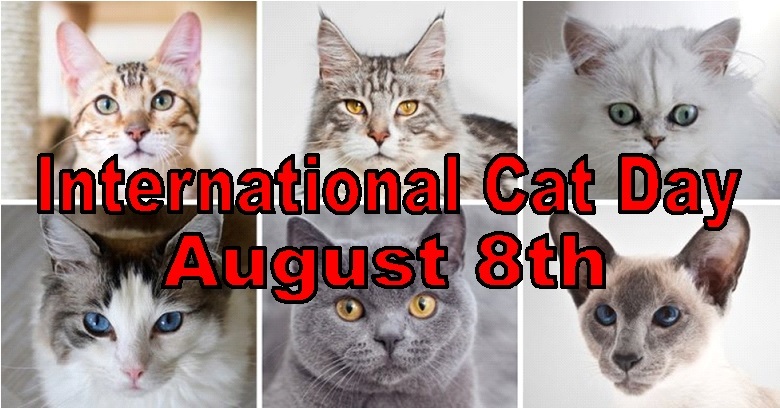 International Cat Day was originally created in 2002 by the International Fund for Animal Welfare as a way for people to honor their feline friends and as a day to support cats. It is also a day when people can go to their local animal shelter and rescue a cat from being put down. According to PETA, and as of 2016, there are approximately 3.4 million cats that enter shelters each year – just in the United States alone. Of those 3.4 million, about 1.4 million of these cats will be euthanized. Of all the felines which enter U.S shelters each year, around 41% are put down, 37% are adopted and 5% are eventually returned to their owners. International Cat Day is a great day to give to one of the many great charities that help out cats. Besides the International Fund for Animal Welfare, there are a number of cat charities that you can donate to. Some of these include Alley Cat Allies, Blind Cat Rescue, Siamese Cat Rescue Center, Lost Dog & Cat Rescue Foundation, National Cat Protection Society, and the ASPCA. In the Bellevue, NE area you can give to the Nebraska Humane Society. You can go one step further and adopt a cat. Owning a cat has been shown to improve mental health and to relieve stress, anxiety and depression and other health benefits. So when it’s raining cats and dogs outside and you don’t have someone to cuddle with, any black, ginger, Persian, Siamese, Burmese, Bengal, Shorthair, Munchkin, Balinese, RagaMuffin or any old stray cat will do the trick. Libraries have their own famous cats. There’s Dewey Readmore Books from Spencer, Iowa. You can find out about his story in Dewey: The Small-Town Library Cat Who Touched the World SF445.5 .M97 2008. 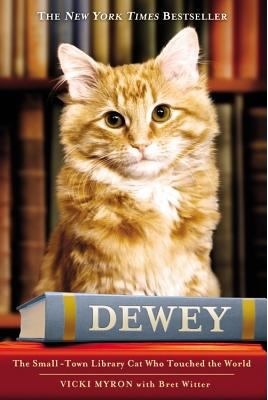 There is also Dewey’s Nine Lives: The Legacy of the Small-Town Library Cat Who Inspired Millions SF445.5 .M974 2010. There is also a pair of Scottish Fold cats that took up residence at the Douglas County Public Library in Minden, Nevada in 1983 and left paw prints on many hearts. 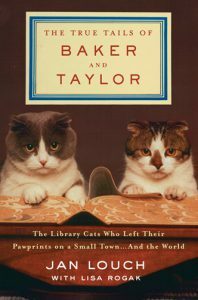 Now, their story, “The True Tails of Baker and Taylor” gives a behind-the-scenes look at the lives of the two small-town cats that lifted up a small community. They are named after the world’s largest distributor of book and entertainment products to libraries. In 1988, the publishing company decided to make the pair the official mascot for Baker & Taylor. You can find more books about cats at the Bellevue University Freeman/Lozier Library.